"No better medium to accomplish this unprecedented goal of filming a documentary on his life." When I think of Guru Ram Das, I often think about him as a miracle worker and a most compassionate Guru. It is popularly known that on the birthday of Guru Ram Das, disciples can break the rules and pray for something they wouldn’t normally pray for - themselves. In the Sikh religion, everyone is welcome to enjoy langar regardless of their faith, gender, age or status. It is offered by every single Gurdwara in the world, with 10,000 meals provided in the UK per week and six million every day across the world. As part of National Langar Week, Monika was joined by some special visitors to find out all about it. The wounds of partition were not tending to heal. Instead, they were waiting for the skies to open to shower any healing balm from the above. 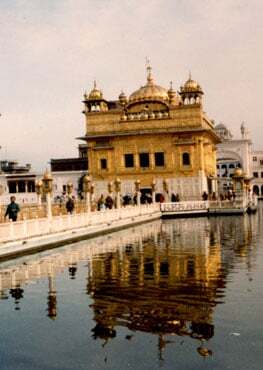 The 550th year of Guru Nanak’s advent may well be such a juncture.